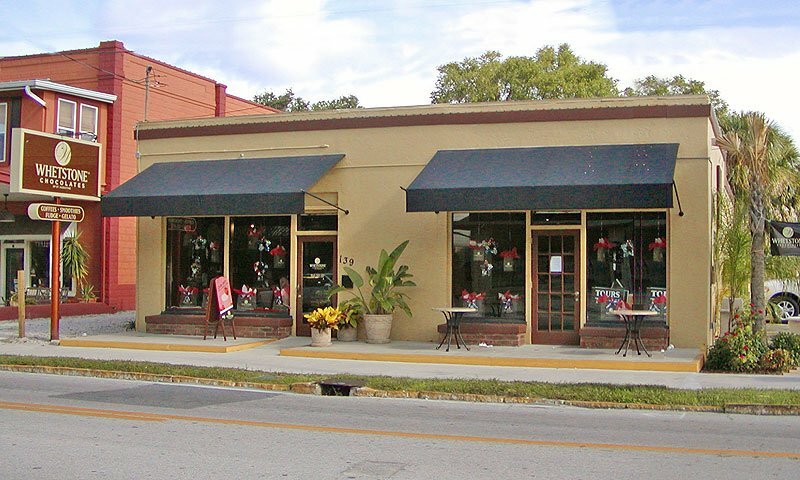 After a tour of Whetstone, visitors can stop in this chocolate shop on King Street to buy gifts and treats to take home. In front of the Whetstone Factory on King Street. Whetstone Chocolates Shop on King Street offers all the tasty chocolates and desserts that visitors and locals have come to love. 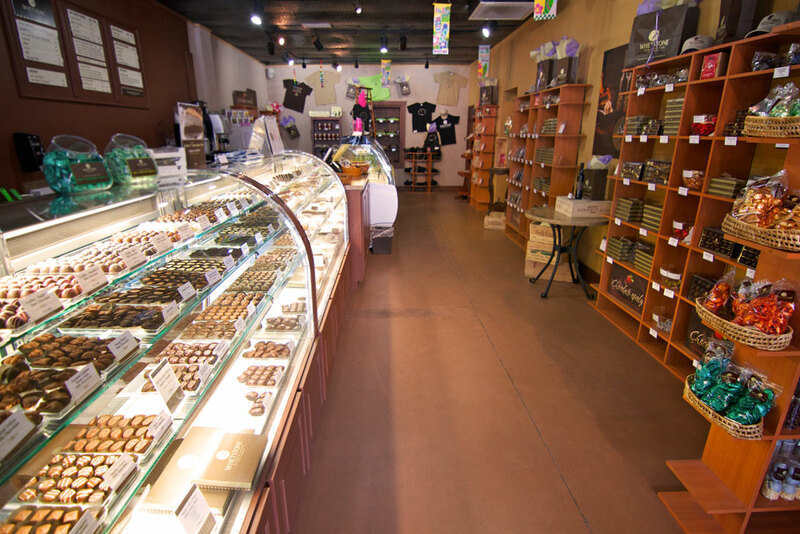 Vacationers can bring home a slice of St. Augustine chocolate from the Whetstone shop. Whetstone Chocolates Shop on King Street has chocolate seashells, chocolate bars, caramels, dessert toppings, truffles, boxed gift assortments, fudge, wedding favors, wonderful gifts items and more. After a fun and knowledgeable tour of the factory, visitors have the opportunity to stop in the shop to pick up a treat or souvenir to take home. 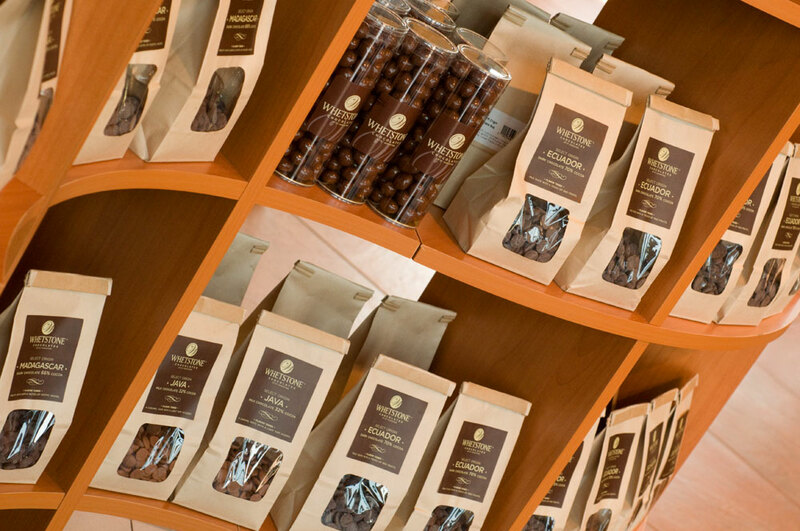 The Whetstone Chocolates Shop at the factory on King Street provides for chocolate lovers; from touring the actual factory, to buying the chocolate visitors see being created. 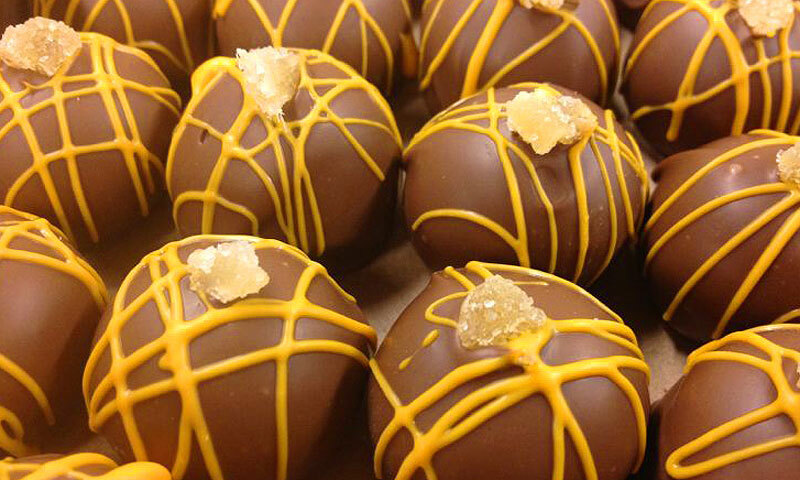 The Whetstone Chocolate Tasting Tour is also available on King Street. Be the first to Review Whetstone Chocolates - King Street!